Like many plantation homes in the south the front of Grove House faces the water where all traffic would have originated when the house was built in 1828. 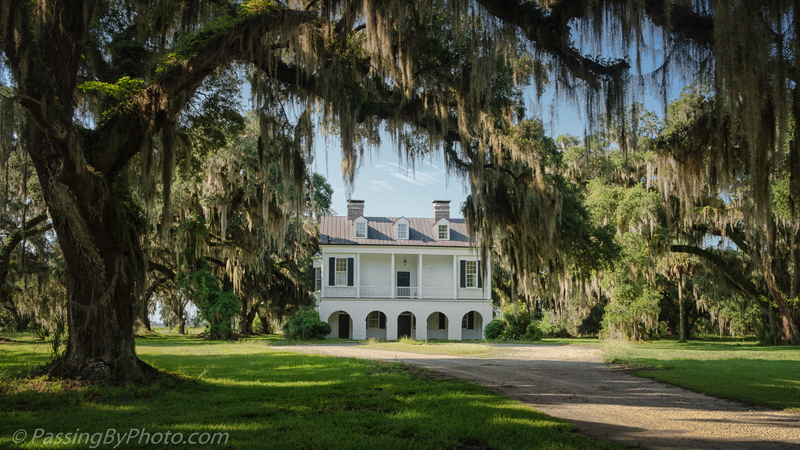 This is a view of the back of the plantation house, taken from the Live Oak lined drive. The pond where I photographed the water lilies in yesterday’s post sits in the circular turn of this drive, just in front of the ground floor entry arches. 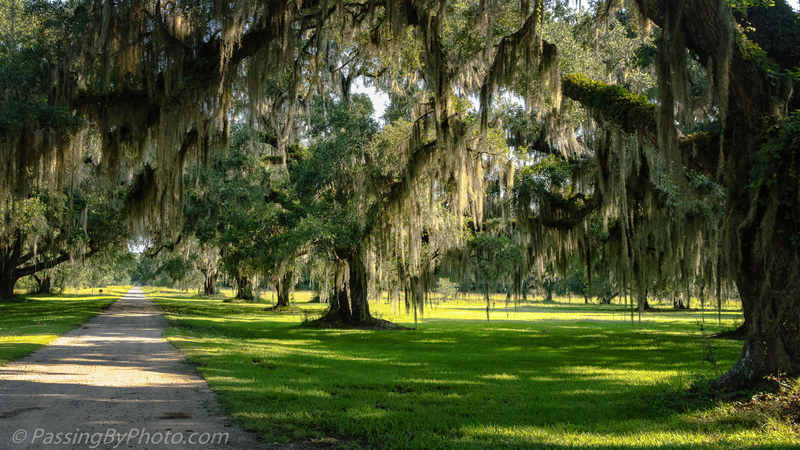 Below are the Live Oaks lining the driveway leading away from the back of the house. 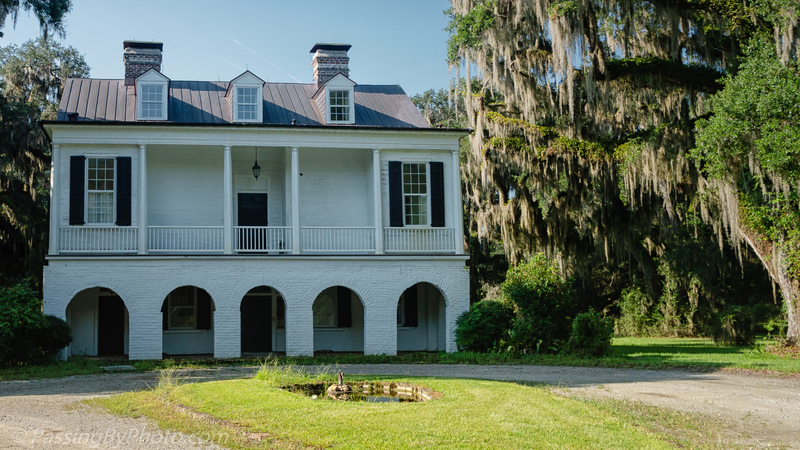 Today Grove House is home to the offices of the US Fish and Wildlife Service’s ACE Basin National Wildlife Refuge.